How do term deposits compare to on-call savings accounts? 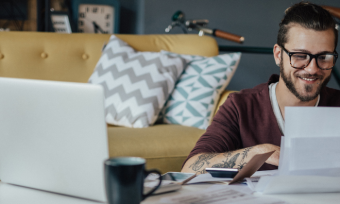 We weigh up the pros and cons of both a term deposit and an on-call savings account to help you boost your savings. Following Kiwibank winning bank of the year for term deposits, they tell us how to get the most out of your term deposit! For the fifth year running, Kiwibank wins Canstar’s Bank of the Year – Term Deposits. A term deposit is a deposit held at a financial institution for a fixed amount of time, known as a term. A term deposit is an investment of cash placed with a financial institution for a fixed period of time, known as the term, with a fixed interest rate for your return at the end of the term. Term deposits are commonly referred to as a TD but can also be known as a certificate of deposit or CD, a time deposit or “bonds”. 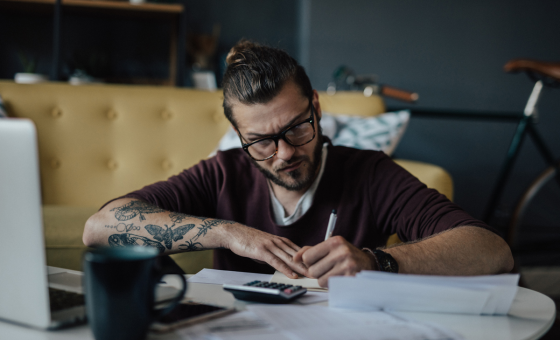 Fixed terms can typically range from one month to five years – but some can be up to ten years – and the money can usually only be withdrawn at the end of the term. If you need to withdraw your funds before the end of the set term, you may receive an interest rate penalty. Term deposits are popular for use by investors who prefer receiving a set return, instead of worrying about the possible daily fluctuations of the interest rates on offer for at-call accounts. Some investors may use term deposits as just one part of their particular mix of investments. Applying for a term deposit is essentially the same as applying for a normal savings bank account, and most applications can be made online. After the Global Financial Crisis intensified in September 2008, the New Zealand Government responded with a number of measures, designed to alleviate the effects, according to an economic overview from the Treasury. Business and consumer confidence plummeted, due to the uncertainty around the economic environment. Treasury’s measures included the Reserve Bank lowering the Official Cash Rate from 8.25% over the year to July 2008 to a low of 2.50% at the end of April 2009. The Reserve Bank also introduced retail and wholesale bank guarantees to help restore consumer confidence in banking, and ensure the banking sector had access to adequate liquidity. Liquidity is the liquid assets – or cash on hand – a bank has so that it can meet payments in case of economic uncertainty. Deposits represent a liability for banks, and deposits are lent out to become income-producing assets. By January 2019, the Reserve bank had adjusted the official cash rate – fluctuating up and down – a further 14 times. As at February 2019, the OCR is at a record low 1.75%. 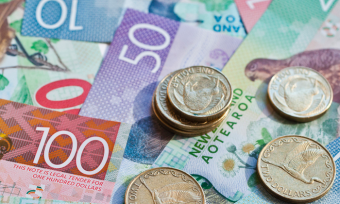 In 2015, the Reserve Bank of New Zealand lowered the Official Cash Rate four times, bringing it to 2.50 in December. In June 2015, the OCR was at 3.25, but 12 months on, it is now at 2.25. A low cash rate doesn’t necessarily mean a lower rate for term deposits, as it’s not the only factor banks consider. However, banks rates traditionally do closely follow the OCR. At time of writing, a $100,000 investment on a 12-month term deposit would pay $3,450 at maturity with the maximum interest rate available on Canstar’s database (3.45%), but only $3,000 on the minimum rate (3.00%), a difference of $450, according to Canstar’s latest comparison of term deposit rates. A $100,000 deposit invested for four years could potentially earn, at time of writing, $3,950 per annum based on the highest 4 year term deposit interest rate on Canstar’s database. In the current low interest rate environment, it is wise to shop around for a good value term deposit. All 12 providers we researched in 2016 cut their term deposit rates over the past 12 months. However, three cut their rates by more than 100 basis points and the remaining 9 cut rates by 50 basis points or more. Research is based on a deposit amount of $25,000. Canstar only included 9 banks in its star-ratings for term deposits. This is because institutions must have a credit rating of at least Standard & Poor BBB+ or equivalent with other agencies. Borrowing agencies are rated based on their ability to meet their financial commitments. A rating of BBB means the institution has adequate capacity to meet its financial obligations but this ability can be weakened by changing circumstances, such as adverse economic conditions. You can compare term deposit rates of 13 financial institutions listed on Canstar’s comparison tables. Finding the highest interest rate before locking in your term deposit is especially important when rates are this low. You can compare the interest rates for different term deposits on our website. You can also compare the interest rates for savings accounts. You receive a specified interest rate at the end of the term, regardless of whether rates drop in the meantime. Savings are locked away, preventing the temptation to spend it all. Low-risk investment – less volatility in the term deposit market. If you choose a short term deposit of 3 months to 12 months, you might find that the rates now on offer are lower when it’s time to renew. If you choose a longer term deposit of 3 – 5 years, rates might go up during your term – but you would miss out because your rate is fixed for the term. Online savings accounts sometimes offer higher interest rates. Your money is not available for use at any time. You pay a penalty if you need to withdraw your money early. There is a minimum deposit amount required, which can be as large as $1,000 to $10,000. You sometimes need to go into a branch, rather than being able to manage your account entirely online. Interest does not compound – it is generally a simple interest, a fixed percentage paid at the end of the term. Many term deposits may automatically renew when the term comes due – but they don’t renew at the same interest rate! To avoid automatic renewal, find out whether or not your financial institution will notify you when the term is due to expire, and make a diary note in your diary to give yourself extra time to shop around for the best rate. In order to open a term deposit, some financial institutions require you to also open a deposit account. Check the fees first! Any ongoing account-keeping fees for the account could eat up any return you earned in interest from your term deposit. 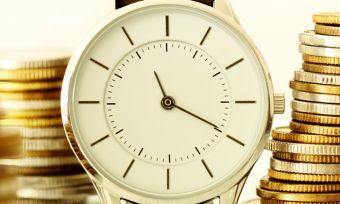 How long should you invest your term deposit? With the official cash rate currently staying put at 1.75%, self-funded retirees might be wondering how much income they could really receive from a term deposit. The amount earnt will differ from short-term deposits – where the term is less than 12 months – to long-term deposits – where the term is more than 12 months. 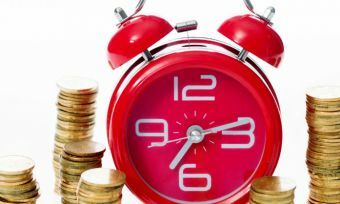 One of the main issues in choosing a term deposit is whether to invest for the short term in the hopes that interest rates will rise, or for the long term to lock in today’s rate in case it falls further. Unfortunately, none of us can see the future, and we don’t recommend using a crystal ball to decide which way to go. One way to hedge your bets is to “ladder” (stagger) your investments. Laddering is a strategy where you place some of your money in a long-term deposit, and the rest goes into several short-term deposits that mature every month or quarter and automatically renew at the current rate. That way, you don’t “miss out” on higher rates that come up now and then, and eventually all of your money is invested in a long-term deposit. It’s a bit like singing a harmonic canon in rounds: someone is always starting the melody while another is finishing. Average interest rates on offer tend (at this point in time) to be slightly higher over long periods of time – but not by a great deal as we are in a very low interest rate environment. You can compare current term deposit rates here. It’s a structured way to invest, and it’s better than relying on a few large, but short, term deposits. You have the long-term guarantee of a certain return, which is reassuring if your retirement depends on a certain amount of income. It gives you more flexibility than just putting all your savings into one big, long term deposit. You have the option to take the short-term deposits out if you need or want to, instead of putting all of the money away for a long period of time. Some of your money is locked in for a longer time, so if you need to withdraw money unexpectedly, you can’t reach all of it. You could be stuck with a low rate for a long time on the bulk of your money. 3.95% may look like a decent interest rate today, but who knows if it will be in 5 years’ time? Laddering involves far more paperwork than putting all your money into one or two term deposits or a notice saver account. Whichever strategy you choose, make sure you get a good term deposit rate. You can read Canstar’s latest Term Deposit Star Ratings Report and compare term deposit rates. Please note that these are a general explanation of the meaning of terms used in relation to term deposits. Your bank or financial institution may use different terms, and you should read the product disclosure statement of your policy carefully to understand everything that may apply during your investment term. You cannot rely on these terms in relation to any term deposit policy you may purchase. Basis points: A unit of measurement used in financial situations to describe the percentage change in interest rates or the value of a financial product. One basis point is one tenth of a percent or 0.01%. Cooling-off period: Defines the number of days available for the investor to change the investment term or amount of money invested in the term deposit. This is done after the maturity date (when the term deposit has reached its agreed length) and usually is up to seven days. Debenture: A medium to long-term investment issued by a company when you lend money to that company. In return for your investment, you receive a regular and fixed amount of interest for the term of the investment. The invested funds (principal) are repaid at the end of the term (maturity). Laddering: A method of investing in term deposits. The investor puts some of their money in a long-term deposit and the rest in several short-term deposits that renew regularly. Term deposits: An account with a financial institution where money is deposited for a set period of time. The interest rate is usually fixed for the term of the deposit and is generally higher than a transaction account, but not always higher than some other at-call high interest savings accounts. Also known as a fixed deposit. Automatic term deposit rollover: friend or foe? Should you ladder your term deposits? Who offers term deposits in New Zealand? For more information on how CANSTAR rates term deposits, read our latest star-ratings report.